The Interfaith Family Journal is an invaluable resource for couples and family members practicing different religions (or none). Interactive exercises and creative activities help interfaith families decide how they want to honor their histories, cultures, and beliefs in ways that nurture joy, creativity, and empowerment. With space for writing directly in the book and suggestions for engaging in deep conversation, the book becomes a keepsake of the journey toward each interfaith family's unique practice and identity. Susan Katz Miller is an author, speaker, educator, interfaith coach, workshop leader, and interfaith activist, and the founder of the Network of Interfaith Family Groups. A former correspondent for Newsweek, her writing and photography have been published in the New York Times, Washington Post, Christian Science Monitor, International Wildlife, and elsewhere. She spent years living in and reporting from West Africa and northeastern Brazil. Miller is both the child of interfaith parents, and the parent of two adult interfaith children. 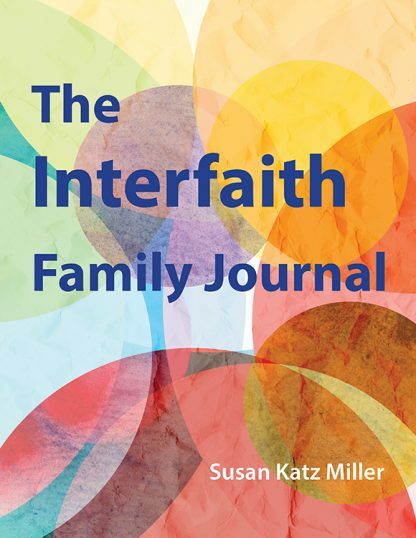 Her new book, The interfaith Family Journal, is a supportive and interactive resource for any and all interfaith families. Her previous book, Being Both: Embracing Two Religions in One Interfaith Family (Beacon Press), includes both memoir and original surveys and interviews with interfaith parents, children, teachers and clergy. Miller has been featured as an interfaith families expert on The Today Show, CBS, PBS, several NPR programs, and many other media outlets. Miller, a graduate of Brown University, lives outside Washington DC. She blogs at onbeingboth.com. Find her on twitter @susankatzmiller.